(Nanowerk News) A team of researchers including Northwestern Engineering faculty has expanded the understanding of how virus shells self-assemble, an important step toward developing techniques that use viruses as vehicles to deliver targeted drugs and therapeutics throughout the body. 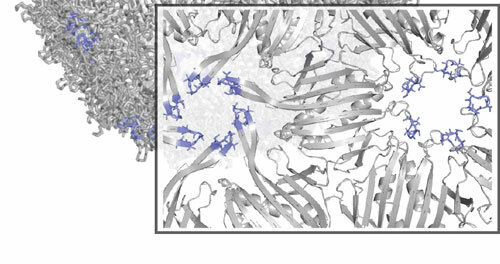 The paper titled "Experimental Evaluation of Coevolution in a Self-Assembling Particle," was published in Biochemistry ("Experimental Evaluation of Coevolution in a Self-Assembling Particle"). Tullman-Ercek served as the paper's co-corresponding author along with collaborator Matthew Francis, professor of chemistry at the University of California at Berkeley. Researchers use a technique called SyMAPS to analyze multiple amino acid changes within the MS2 virus particle.